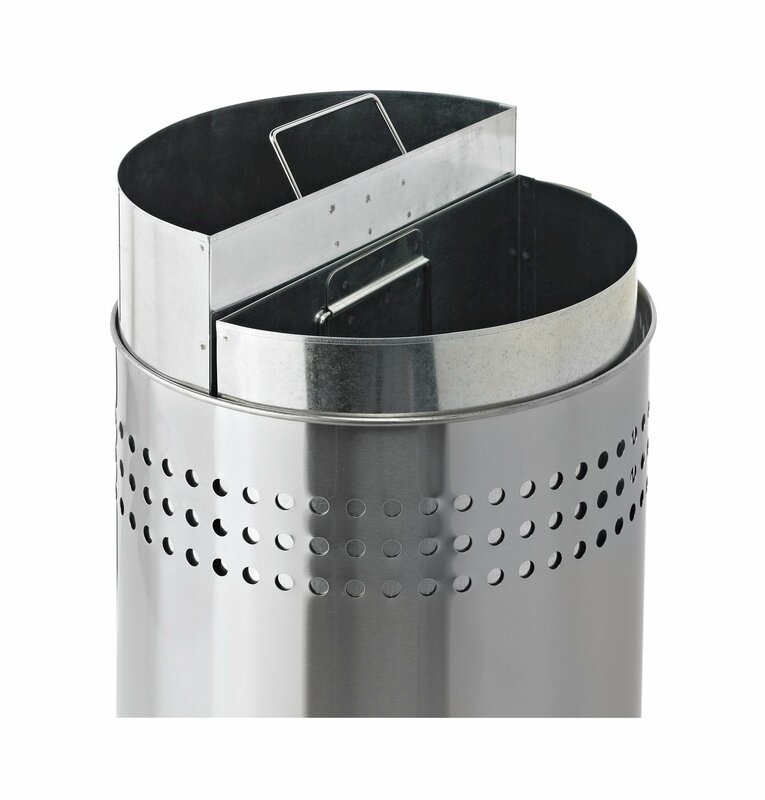 20 Gallon Precision Stainless Steel Round Recycle Receptacle with Separated Open Top - 27 lbs. 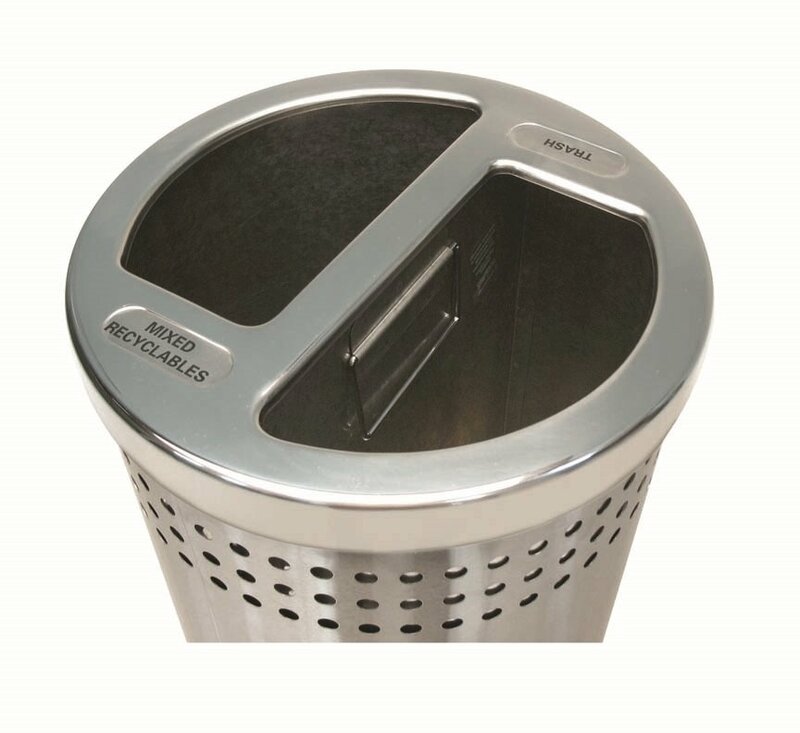 Our 20-gallon Precision stainless steel round recycle receptacle with separated open top is an attractive addition to break rooms, cafeterias, and waiting rooms. Includes a split lid that will keep the trash from the recycling in two separate liners. Comes with clearly printed decals to label each side as desired: Trash, Aluminum, Glass, Plastic, Paper, and Mixed Recyclables. This unit is made from heavy-gauge steel with two 10-gallon half moon galvanized liners for easy trash and recycling removal. • Dimension: L 13.5" x W 13.5" x H 31"
Standard 8 Space "A" Style Grid Style Bike Rack, Galvanized Steel - 83 lbs. 25 Gallon Precision Steel Round Recycling Receptacle with Recycler Top - 28 lbs.